Now I have the photos taken by my Grandfather during World War 2, I will be starting to post them where possible with the correct entries. For some, I will be posting for entries transcribed some time ago and for others I will just do generic posts as most aren’t labelled with dates. 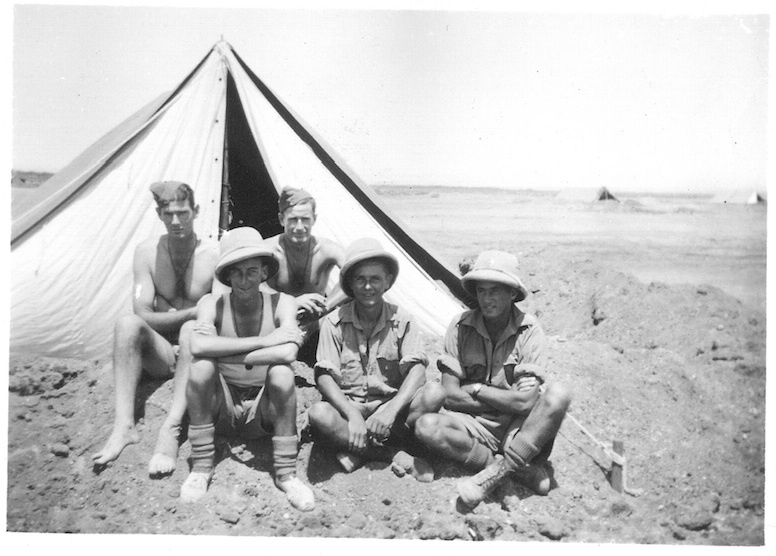 This photo was taken August 4th 1941 but I have no idea who the men are in the photo outside their tent at Kibrit. If you want to read the diary entry for this day – click here.